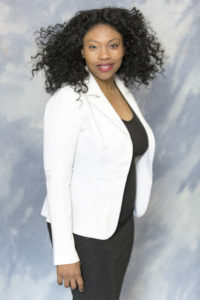 Singer Songwriter Palmyre is not the average Gospel Recording Artist. She has a gift to sing in 3 different languages. She is known to the Haitian community for her album success and publicity. In Haiti, she’s known for her performance and Revelation of The Year award. Her second album was a highly anticipated Gospel project that was nominated for Best Album, Best Song, and Best Duo Collaboration. The interest and blessings from her Haitian music fans give rise to extend her inspirational compositions to the Christian/Gospel community in America. Palmyre’s 1st release to her target audience in America is “You better know what time it is”. It’s a bold song she wrote and recorded to speak the Gospel truth. She shares why she put God 1st and how she neglected to do so for many years. You will learn about Palmyre faults, success, and best tips for using time wisely. The death of a friend’s mother hit home for multi-talented Singer Songwriter Palmyre! Her death was so sudden and unpleasant that when Palmyre saw her lying in the casket she went to the bathroom and thought it could have been her own mother in that casket. Just a few years before the funeral, Palmyre’s dad had a heart attack right before her eyes. He survived but Palmyre started having anxiety attacks because she was worried about losing her loved ones. She lived in constant fear. She didn’t listen to the phone ring without thinking it was someone calling to tell her a death occurred in the family. On many days Palmyre lost sleep over it. So it’s easy to understand what she was going through at the funeral. Death is real and one way or another just like her friend Palmyre will have to deal with it. While at the funeral, somehow Singer Songwriter Palmyre used her creative thinking and decided to use her experience for a musical testimony. Palmyre’s song would be the result of all things working together for her good and those who love God and called to His purpose (Romans 8:28). Her story had to be told and “You better know what time it is” became her new project and the first song of her collection in English. Palmyre decided she would provide a new targeted audience with her best tips that will help them understand the importance of knowing God before making plans in life. Using her Singer Songwriting skills and the revelation she was experiencing her project would be an upbeat inspirational sound. While Palmyre was in the bathroom at the funeral, she kept repeating to herself “You better know what time it is” because there is no exact time for death. She knew that creating a hook in a song is by using a short riff, passage, or phrase that is used to “catch the ear of the listener”. So she used what she kept repeating as her hook. It was perfect because you are never too young or too old to die. That is one thing that man cannot control. Not only it can occur at any moment, but will you be ready to meet the creator is the question Palmyre wondered? In the coming days, her question would be a reality sooner than she expected. The best tip Singer Songwriter Palmyre offer here is “prepare your self in advance”. That means growing in the Spirit. Had Palmyre done this before going to the funeral it might have prepared her to take on the fear that caused her to break down. She was affected following the funeral as well. One day Palmyre thought she was having a heart attack while driving. She remembers calling her mom and telling her what clothes to put on her if she would die. A few weeks later the same symptoms of having a heart attack kept reoccurring and lasted months until she had a diagnosis. The results revealed that Palmyre was having a panic attack and anxiety attack. She never heard of such things before. It dawned on her if she had died she would have probably not made it to heaven. Palmyre was not spiritually prepared. Although Palmyre is a Singer Songwriter who called her self a Christian all her life, she has not always lived like one. She grew up going to church but she lived her life clueless. Palmyre woke up every morning for years, jumping in and out of her bed without dedicating the day to God. Without a thought Palmyre left her house without praying, ate without praying, made plans without praying, yet she called her self a Christian. Apparently, Palmyre thought she was in control and felt no harm would come to her. She had no fear until she got sick. The sickness humbled her, to say the least. As she sat on her bed fearing for her life, Palmyre finished writing the song as if it was her last words. A voice kept reminding her that her time is not her own. Death can come right where we are sitting and we need to be ready to meet the Lord. It wasn’t long ago Palmyre only thought was about earthly satisfactions. She always ran after her next goal, fulfilled her next ambition, achieved her next dream, fulfilled her passion while forgetting that she also need to make time to prepare for heaven. She loved routines and could not stand anything that was unpredictable. In most cases, it became a problem when anything got in her way. Palmyre’s best tip for those who live that way is that “God is a jealous God” (Exodus 20:5). He is ultimately in charge of the plans we make so please be sure to put Him first. “You better know what time it is” is a song to remind people that heaven is around the corner and it’s real. As a Singer Songwriter and Christian, Palmyre would like to hear more ministers speak about heaven. David E. Maxwell, a Minister of Music and a Music Reviewer provided such content. In his music review published on Truli, The Faith and Family Entertainment Network he provides descriptive insight to Palmyre’s experience. Unfortunately, many ministers only focus on how we can overcome tough situations. That’s great but what about preparing for heaven? Palmyre met people who claim to be a Christian and think that heaven is not real. They think that it is just an embellished story. This is not acceptable to Palmyre. “The whole point of Jesus death is the promise of heaven”. With her new release song, Palmyre has a great chance of sharing her information with those interested in rhythmic upbeat music. “You better know what time it is” is a song that will encourage people to get their act together before it’s too late. Until Palmyre got sick, she never knew the beautiful feeling of longing for God. Palmyre now wants to spend time with Him. In fact, Palmyre needs to spend time with God in prayer and reading her bible on a daily basis. In her past she never felt the need to. Like many, Palmyre had to experience what it means to be broken. She put all her faith into her self and none into Jesus Christ. Unfortunately, there are many Christians living their life like Palmyre once did. We owe it to God to make a change! We cannot call ourselves a Christian and not look towards heaven on a regular basis. Today Palmyre is a living witness and uses her song “You better know what time it is” and the story behind the music as a tool to help more people get saved and born again! “You better know what time it is” is available to download below. Other tracks from the album will be announced at a later date through Devine Jamz Gospel Network social media networks (Facebook, Twitter, Linkedin, Google Plus). For more information please contact the marketing team at Devine Jamz Gospel Network by email (address in the footer) and a representative will assist you.